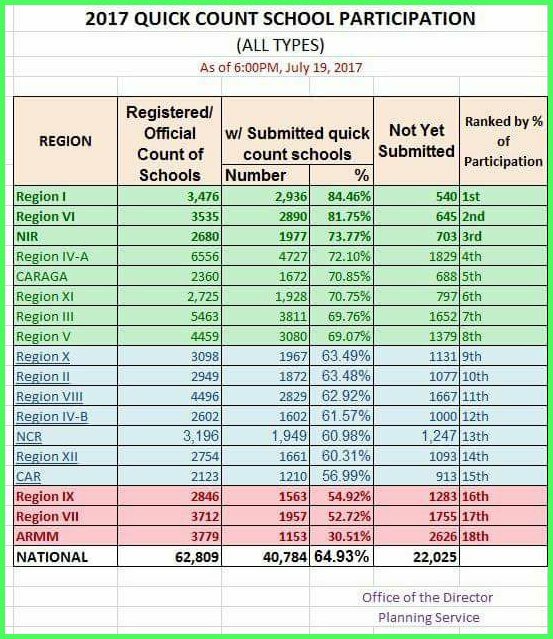 Congratulations Region 1 and Region VI and NIR for they have made to the first, second and third in the participation rate of 2017 Enrolment Quick Count as of July 19, 2017, 6pm. Infographics shared by Mam Eda Fabale-Ponsaran, admin of Region VI and NIR LIS and EBEIS Help Desk. 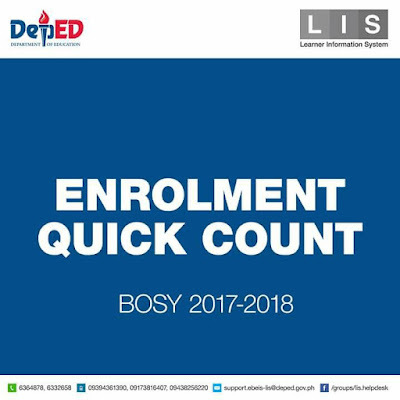 Due to some glitches which the LIS website experienced, only 64.93 per cent of the regions have submitted their enrolment quick count as it closes today, July 19 at 6pm. Region 1 with 84.46 percent submission rate is the first, followed by Region VI, 81.75 percent, and Negros Island Region (NIR) comes third with 73.77 percent. So far, a total of 62,809 registered/official count of schools has been reached. 22,025 more schools are expected to complete the submission not later than the end of July 2017. 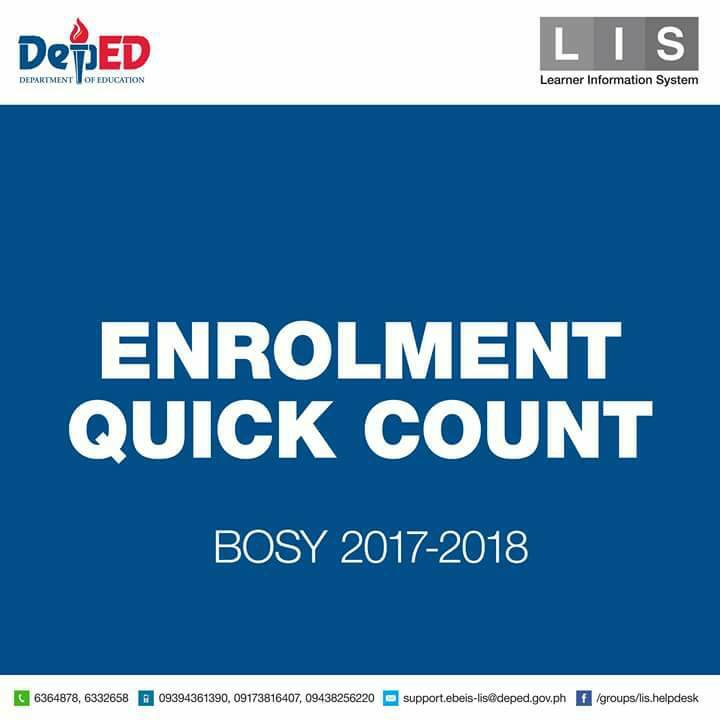 The enrolment data provided by the schools can be viewed by their respective Schools Division Offices. The consolidated enrolment data of the Division Offices can be viewed by the Regional Offices. And the Central Office can view quick counts from the entire nation, regions, divisions, and schools.